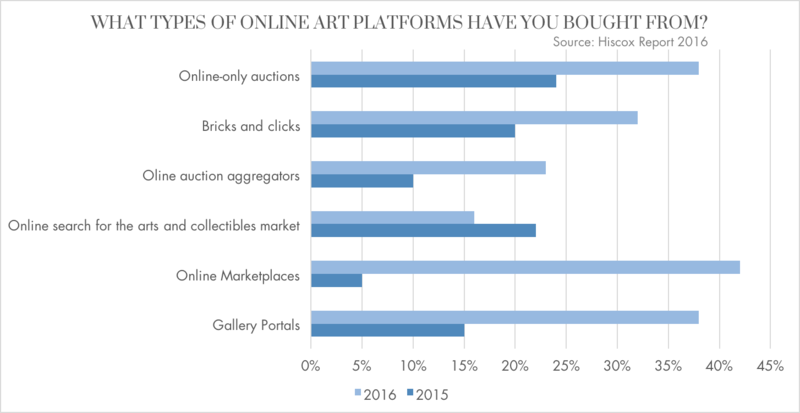 Young Collectors: Who Are They and Where Are They Buying Art? Young art collectors are defined as professional individuals who are below the age of 40 and actively engaged in the art market. These young professionals are found across the globe, from China and the Philippines, to the United States and Mexico. Many start young, some with intrinsic passion for the arts, while others are influenced by their parent's involvement in the art world as collectors themselves. The myth that these young collectors are extremely heeled is a half-truth. Emma Hall, ranked #1 in artnet's "12 Young Art Collectors to Watch in 2016", comes from a family of art collectors, whereas Mohammed Afkhami (ranked #5), an Iranian financier and Middle Eastern contemporary art enthusiast, began collecting by buying and selling works of art priced around $300-$500 dollars. He is now one of the largest collectors of Middle Eastern art. Young collectors in general tend to look for undervalued art and less well known blue chips. Despite being a riskier investment, returns can be very rewarding. Another trend amongst notable young art collectors is that they start young. Michael Xufu Huang and Tiffany Zabludowicz, ranked #8 and #9 respectively, began at the age of sixteen. Michael is now the co-founder of an independent non-profit contemporary art museum in Beijing, M WOODS. Many well established art institutions across the globe are well aware of next generation of art collectors. For example, by joining the Guggenheim's Young Collector's Council, members enjoy numerous benefits, which include complimentary admission to museums and art fairs, private museum and gallery tours, a seat on the YCC Acquisitions Committee which votes on new museum acquisitions, as well as many other perks. Banks are also well aware of the trend. Numerous hold wealth management seminars and even mock auctions for children of Ultra High Net Worth Individuals (UHNWI). 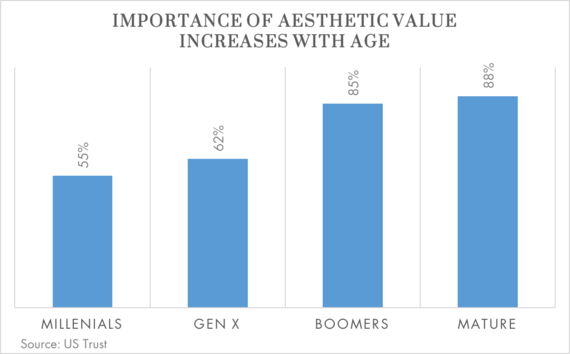 According to a US Trust survey, HNWIs under 50 years old are more likely to view art as an investment, while those over 50 years old treat art as part of their image and lifestyle. 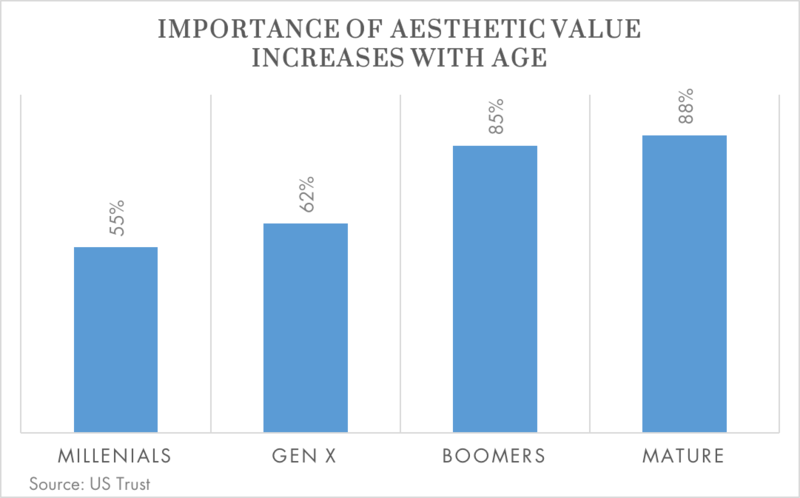 Therefore, younger art collectors are observed to be more willing to buy and sell their pieces of art, while the older generations have the tendency to keep them. The younger generation also brings in a new wave of technology. Mobile apps have opened new possibilities for the art world. Many art enthusiasts use notifications or alerts to find out when an artist of interest will appear at auction. Artsy reportedly sold a piece of art for $1.4 million on its mobile app. 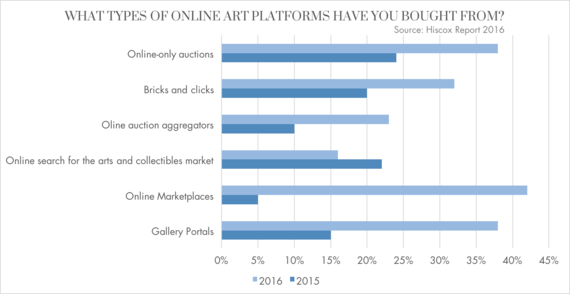 Over the last 5 years, several online auction houses have been appearing, the most well known of those being Paddle8, Artsy and artnet. Christie's and Sotheby's have also taken their auction platform online with their very own Christie's LIVE and Sotheby's BIDnow. The Information on this forum is provided for educational and informational purposes only, without any express or implied warranty of any kind, including warranties of accuracy, completeness, or fitness for any particular purpose. The Information contained in or provided from or through this marketing material is not intended to be and does not constitute financial advice, investment advice, trading advice or any other advice.